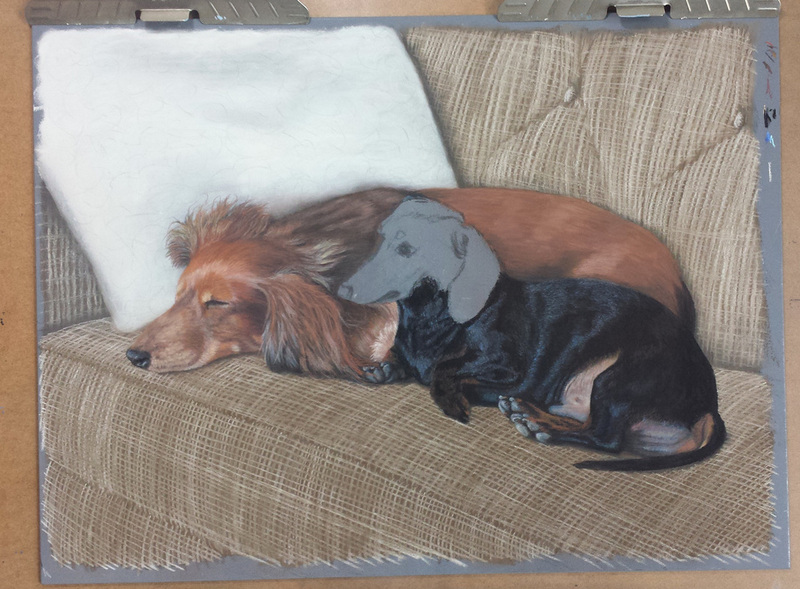 I am quite pleased with the way this custom pastel pet portrait turned out. 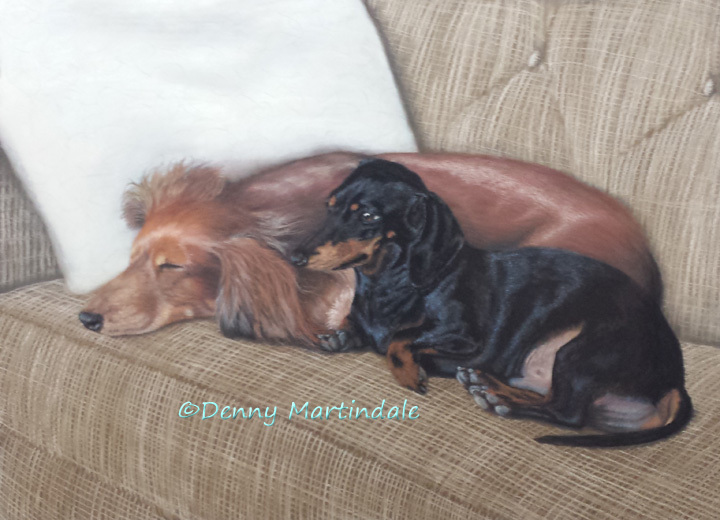 When my client first handed me the photo of the dogs, she said the only thing she wanted changed was the color of the pillow, which had an intricate pattern that was distracting to the subject matter. I looked at the pattern of the sofa, and immediately loved the challenge. I love the contrast of textures between the smooth coats of the dogs, the weave of the fabric on the sofa, and the fluffy cotton of the pillow. My client was quite pleased as well. The red dachshund, Joy, had passed away some time back. Unfortunately, the black one, Bumi, passed about a week later. My client is so happy she had this painting done, as she now has a permanent memory of both dogs at a happier place in time!